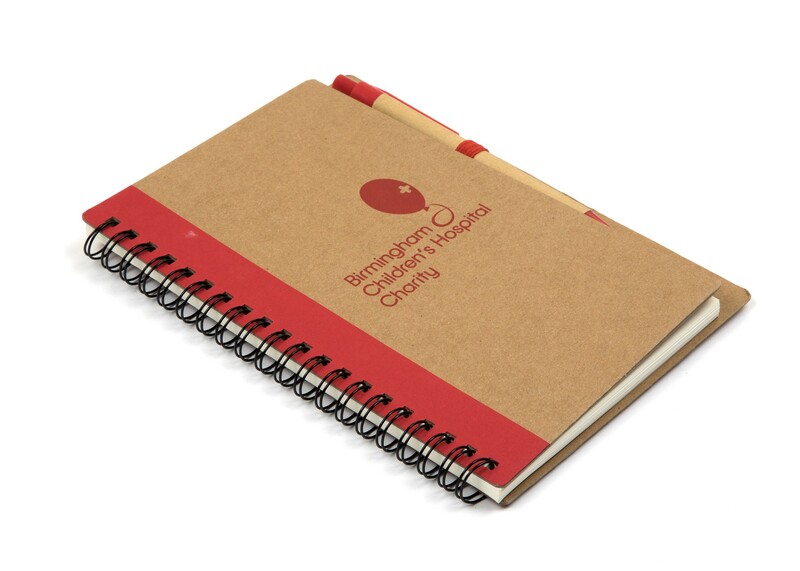 Recycled spiral notepad & pen with the Birmingham Children's Hospital charities logo on the front in red. 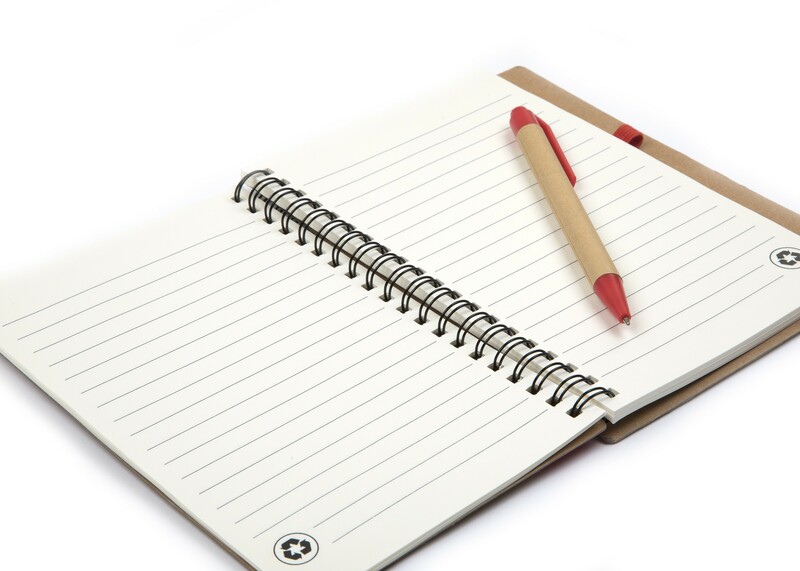 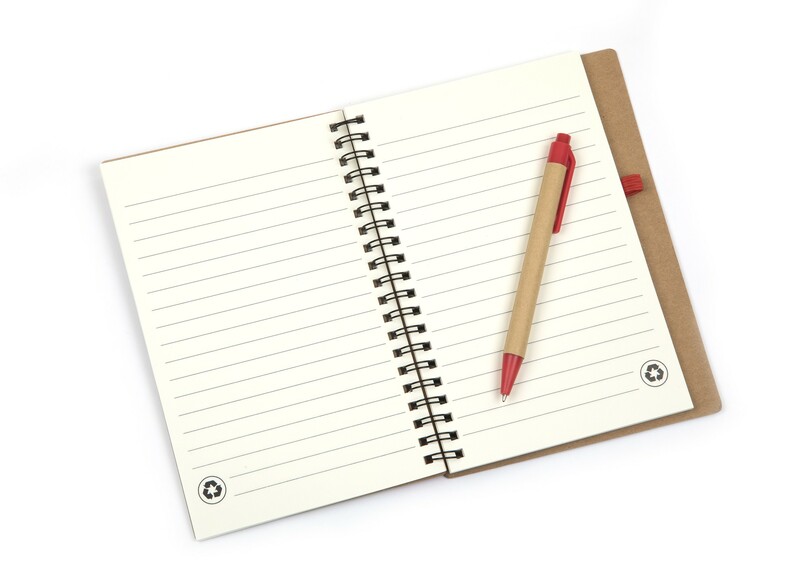 Notebook has 60 sheets of lined paper with a matching pen. 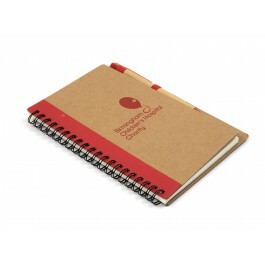 Measures: 18.5 x 13cm.